Former mayor of Bloomfield, New Jersey, John I. Crecco, a decorated World War II veteran and humanitarian, passed on to eternal life on April 1, 2017 at the age of 96. John was a friend to all, and those who knew him understand why his is the Greatest Generation. Driven by love, compassion, courage, patriotism and an iron will, John lived his unique brand of the American dream, becoming a respected leader in his community who was revered for his gregarious personality, authenticity, kindness, loyalty, humor and generosity. Born in Newark, NJ to Italian immigrants Charles and Rose Crecco, John was raised with his three siblings in Vailsburg. He served as a US Navy Corpsman during WWII and was awarded many ribbons, commendations and medals, including 9 battle stars, for his valor. The most notable battle braved by the young combat medic began on November 20, 1943, when Naval forces carrying the US Marine's V Amphibious Corps launched an assault on heavily fortified Tarawa Atoll in the first American offensive in the critical Central Pacific region. The Battle of Tarawa was one of the bloodiest of the Pacific War, exacting a heavy toll on the Marines. However this atoll, with its landing strip, would prove to be the gateway to mainland Japan and the beginning of its downfall. As soon as John returned home from the war he married Marion LaBruzzo and enrolled at Seton Hall University, where he earned a BS in Biochemistry. After graduation John became a pharmaceutical sales representative for Organon, where he worked until his retirement. In his spare time, John loved spending time with his family and often performed for them on his guitar, kazoo, drums or bongos. Quite the Renaissance man, John wrote poetry, made ceramics with his grandchildren, studied wildlife documentaries, challenged himself with crossword puzzles and always solved the Wheel of Fortune riddles before the contestants. During these years, the call of helping others also began carving the legacy of an extraordinary humanitarian. Beginning with a desire to provide Columbus Hospital with much-needed cardiac beds, John’s lifetime of philanthropic endeavors took root, and in 1967 he founded the John I. Crecco Foundation. Throughout its decades-long history, the foundation raised and donated over a million dollars to cardiac care and rehabilitation facilities in northern New Jersey hospitals, and also supported the development of cutting-edge technologies in the area of cardiac care. Though John was the driving force behind the Foundation, he was able to touch so many lives thanks to the unwavering support of his wife, Marion, and the tireless efforts of a dedicated group of volunteers who made the annual Project Heartbeat Ball and Junior Olympics Track Meet successful. Additionally, John became a major sponsor of drug abuse education and prevention programs, the Leukemia Society and many other community enrichment programs including the "Helping Hands of Bloomfield,” which posted signs throughout local neighborhoods to let children know where to find help if needed. Through the Crecco Athletic Club, John sponsored youth league sports teams in Bloomfield for over forty years, as well as the annual Bloomfield Junior Olympic Track Meet; and he was a benefactor to the William Foley Football League. John has been the recipient of many awards throughout his distinguished career. The United States Olympic Committee, the Bloomfield-Glen Ridge League of Family Service, the Salvation Army, the City of Hope, the Essex County Leukemia Society, the U.S. Amateur Athletic Council, the Bloomfield PBA, the March of Dimes, the Bloomfield Volunteer Emergency Squad, the New Jersey Pharmaceutical Society, the Bloomfield Little League, the United Way of Bloomfield and various other organizations too numerous to list have honored John Crecco for his contributions. John’s life of service also beckoned him into the political arena where he dedicated 22 years to the Township of Bloomfield. He was elected as a Councilman-At-Large in 1971, and was re-elected to the post four times. In 1976, John was the Essex County Olympic Wrestling Chairman. 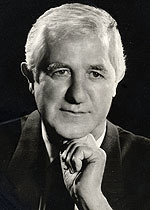 In 1986 John was elected Mayor of Bloomfield and served until 1989. Following a brief respite, John was once again elected to the Township Council in 1992 and served as interim Mayor from 2001 to 2002. In 1994, John was appointed Deputy Commissioner of the New Jersey State Athletic Control Board by Governor Christie Whitman. As a former amateur boxer, John devoted many hours to this position and enjoyed every moment. John loved life and lived it to the fullest, his way. John was predeceased by his wife and the love of his life, former New Jersey Assemblywoman Marion Crecco. He was beloved by his two daughters, Susan Fratello and Virginia Cummings, and sons-in-law Michael Fratello and Robert Cummings. He was the doting grandfather “Pop Pop” to Kristi and Marc Fratello, Jonathan Cummings and his wife Alysa, and Michael Cummings. John was predeceased by his sister Louise Scaglione and his brother Frank Crecco. He leaves behind sister Evelyn Brand, sisters-in-law Joanne Redding and Flo LaBruzzo, and brother-in-law Joseph LaBruzzo and many adoring nieces, nephews and friends. The family will receive friends on Sunday, April 9, 2017 from 2 to 7 p.m. at O’Boyle Funeral Home, 309 Broad St, Bloomfield, NJ. A funeral mass will be celebrated Monday, April 10, 2017 at 10:30 a.m. at Sacred Heart Church, 76 Broad St, Bloomfield, NJ. Entombment will follow at Gate of Heaven Cemetery, 225 Ridgedale Ave, East Hanover, NJ. Flowers or memorial contributions to the John I. Crecco Foundation are welcome. Checks will be accepted at the funeral home and donations can be made online by clicking the button below. In 1964 John Crecco, who at the time was a well known humanitarian and community volunteer, was asked by the chief cardiologist of Columbus Hospital to sponsor a two-bed cardiac care unit. John did so, and the next year he raised funds for a six bed cardiac unit. In May of 1964 he then established the John I. Crecco Foundation which has grown to be the foremost benefactor to cardiac care and rehabilitation facilities at northern New Jersey hospitals. The Foundation has raised and given away over one million dollars since it’s founding and is credited with funding cutting edge technology and facilities in the area of cardiac care, as well as serving as a major sponsor of youth league teams, drug abuse programs prevention programs, Leukemia Society and many other community enrichment programs. We would like to express our deepest appreciation to the many volunteers, who throughout the years, have helped make our annual Jr Olympics track meet successful.